It was a Déjà vu at the Baikonur Cosmodrome on Sunday when a Soyuz rocket stood fully fueled for an express cargo delivery to the International Space Station but suffered a last-second abort of its countdown moments before lighting the engines – scratching plans of a record-setting rendezvous by the Progress MS-08 cargo ship. The exact same had occurred in October 2017 when the Progress MS-07 cargo craft was counting down to its attempt at setting a new record for the fastest ISS rendezvous to date. 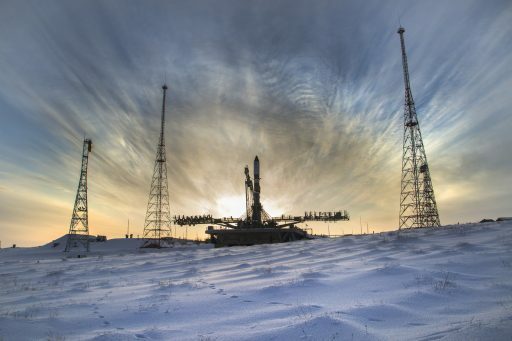 Braving temperatures of -12° Celsius, Soyuz and its engineering team entered countdown operations Sunday morning, local time, to prepare for an 8:58:45 UTC launch of the Progress MS-08 spacecraft loaded with 2.5 metric tons of cargo and aiming to become the first vehicle to link up with the Space Station in under three and a half hours. The 46-meter tall Soyuz entered propellant loading at the T-3-hour mark to receive some 274 metric tons of Liquid Oxygen and rocket-grade Kerosene plus Nitrogen pressurant and Hydrogen Peroxide to drive the booster and core stage engine pumps. 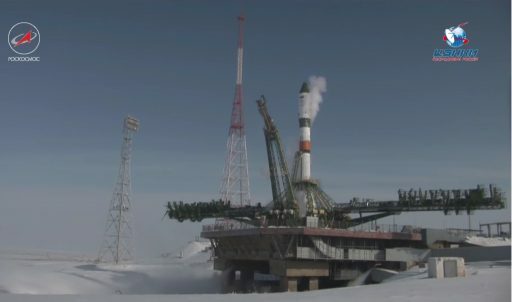 The venting Soyuz was revealed at T-50 minutes when the two halves of its Service Structure lowered to their launch position and engineers cleared the Site 31/6 launch pad before the countdown transitioned into automatic mode at T-6 minutes. 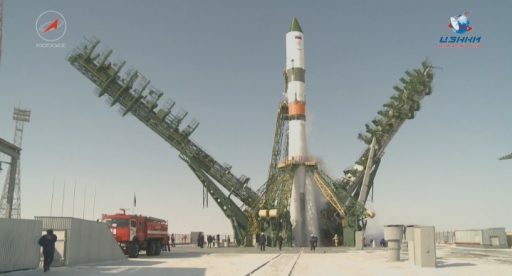 All appeared to go smoothly as Soyuz purged its engines and headed into the pressurization of tanks before the rocket’s computers assumed control at the one-minute mark to oversee the final events leading up to ignition. The KZM umbilical mast retracted from the rocket’s upper stage and Launch Control called out “Пуск” (Pusk) – indicating the Launch Command was issued at the T-20-second mark as planned. Next would have been the firing of igniters within the RD-107A and RD-108A multi-chamber engines on the boosters and core stage, acknowledged by the call “Зажигание”. But instead, Soyuz was seen venting its tanks after the Automatic Abort Command AVD was issued at the last moment prior to engine ignition and retraction of the lower umbilical mast. The AVD command immediately sets in motion a safing sequence on the Soyuz through disabling ignition events, venting down the tanks and purging the engines with Nitrogen to remove any combustible substances to mitigate any fire hazards. Since there was no fire hazard as ignition had not yet occurred, engineers were ordered back to the launch pad right away to begin the process of safing the vehicle and draining propellants from its tanks as the day’s instantaneous launch opportunity had passed. 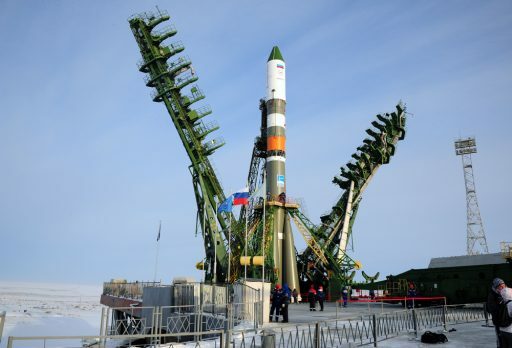 On-pad aborts are rare for the well-proven Soyuz launch vehicle but have not been unheard of, this marking the third instance in recent memory: in March 2016, a Soyuz 2-1B aborted after igniters had fired but before propellant valves opened, allowing for a 24-hour recycle. The most recent AVD Abort came on October 12, 2017 on the Progress MS-07 mission and was eerily similar to Sunday’s events. In that case, Soyuz also passed the point of “Pusk” and AVD was issued moments before ignition, leaving the venting vehicle sitting on its pad with the KZM retracted and the lower umbilical mast, designated VKM, still in place. In both cases, the abort came at the same time through the automated AVD trigger. In last October’s case, NASA said that an electrical problem prevented separation of the VKM while Roscosmos did not disclose the cause of the abort but said a flight computer on the vehicle was replaced before the second launch attempt. 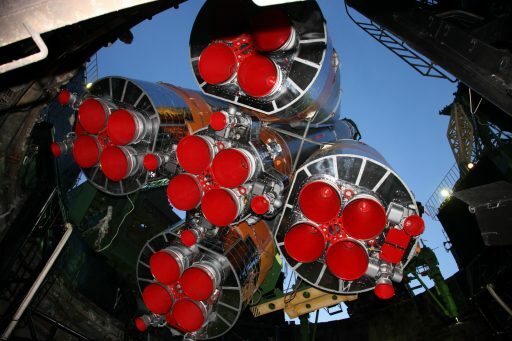 Knowledgeable sources pointed to a faulty electrical connector that prevented the retraction of the VKM, causing Soyuz to enter an abort before committing to engine ignition. 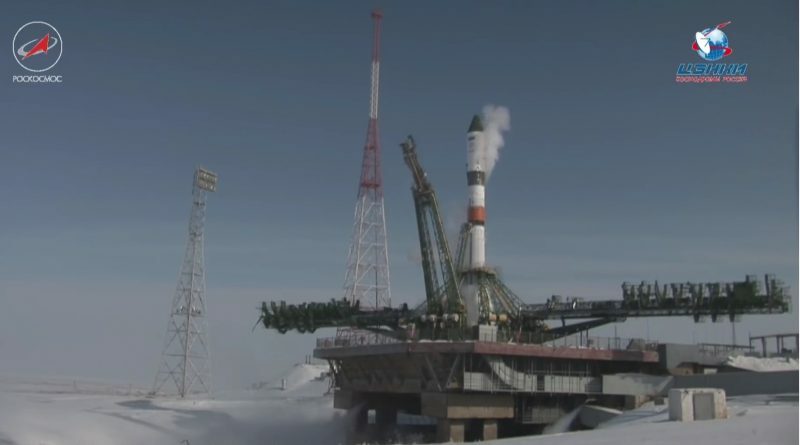 After Sunday’s aborted ignition, Roscosmos issued a statement saying the cause of the abort was under investigation and Progress MS-08 would be moving to its backup launch slot on Tuesday. Russian press outlets cited sources within the space industry claiming the likely cause of the aborted ignition was found within a flight software issue on the Soyuz 2-1A rocket. No new launch time was announced, but through tracking elements of ISS, a planar launch time around 8:14 UTC can be estimated. If Soyuz can launch on Tuesday, Progress MS-08 will have to use the conventional 34-orbit rendezvous – taking it to its orbital destination in just over two days instead of the planned two-orbit, 3.5-hour rendezvous. To achieve a two-orbit rendezvous, weeks of preparation are necessary by the International Space Station to be in the right place in its orbit when the planar launch time arrives for the chosen launch date in order to have Soyuz inject the Progress at a very small angular separation (phase angle). In case of the Progress MS-08 mission, ISS completed a pair of reboost maneuvers on January 17 and 30 to set up a 15-degree phasing as required by the two-orbit flight profile. On Tuesday, ISS will be over the South Atlantic Ocean when Earth’s rotation carries Baikonur into its orbital plane, creating a phase angle that is not compliant with the two- or four-orbit rendezvous techniques. Maneuvering ISS back into the correct spot for another launch attempt in the coming days would be theoretically possible but the Station’s orbital management is planned out over several months and any unplanned maneuver would interfere with phasing setup for operations further down the line, e.g. the landing of Soyuz MS-06 on February 27 for which phasing setup was also started with the two January burns. It would also be possible to keep Soyuz on the ground until the orbital geometry naturally re-aligns, but delaying a mission several weeks only to stick to the fast rendezvous scheme is less than practical. 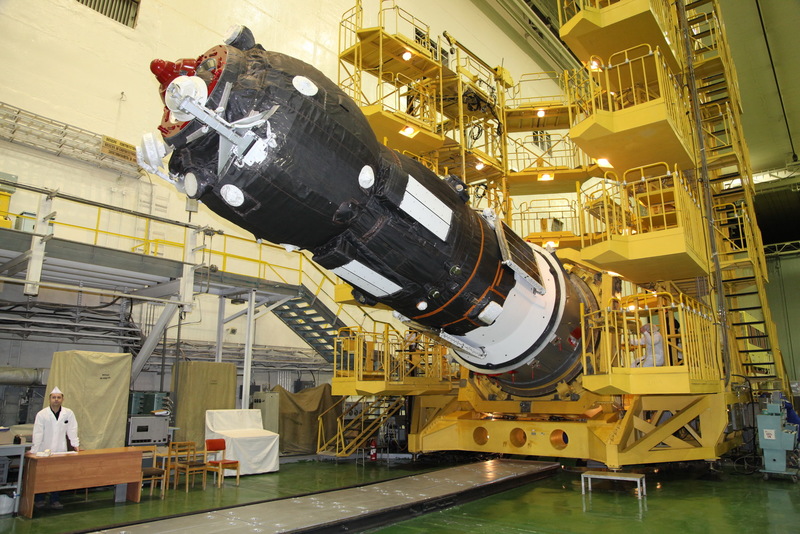 Since the primary purpose of the Progress MS-08 mission is launching a fresh batch of cargo to ISS, its launch will be scheduled at the next convenient launch date, regardless of losing the two-orbit rendezvous. With the re-aligned launch date, Progress MS-08 would be inbound for docking on Thursday, February 15 – potentially requiring U.S. EVA-48 by Mark Vande Hei & Norishige Kanai to be rescheduled. The cargo onboard Progress MS-08 comprises the typical mix between refueling propellant, water, compressed gas and dry cargo loaded into the pressurized section of the spacecraft. In total, the mission is carrying 2,496 Kilograms of cargo including 640kg of propellant for transfer to ISS, 420kg of water for crew consumption and oxygen generation, 46kg of oxygen to top up the Station’s atmosphere and 1,390kg of dry cargo – food provisions, crew supplies, hygiene articles, maintenance gear, spacewalk equipment and experiment hardware.